It's like a Messiah sing-a-long for low brass players, with a walk-in open-call rehearsal, followed by a concert. There's no audition; open to anyone of any experience, age, or skill level. No advance registration, just show up. And bring your friends and family to enjoy the show. 2018 marks the 45th anniversary of the first TUBACHRISTMAS, and the 13th year that we've had an event here in Grand Rapids. This event has plenty of opportunities to socialize with each other, show off and explain unusual horns, and talk to people. 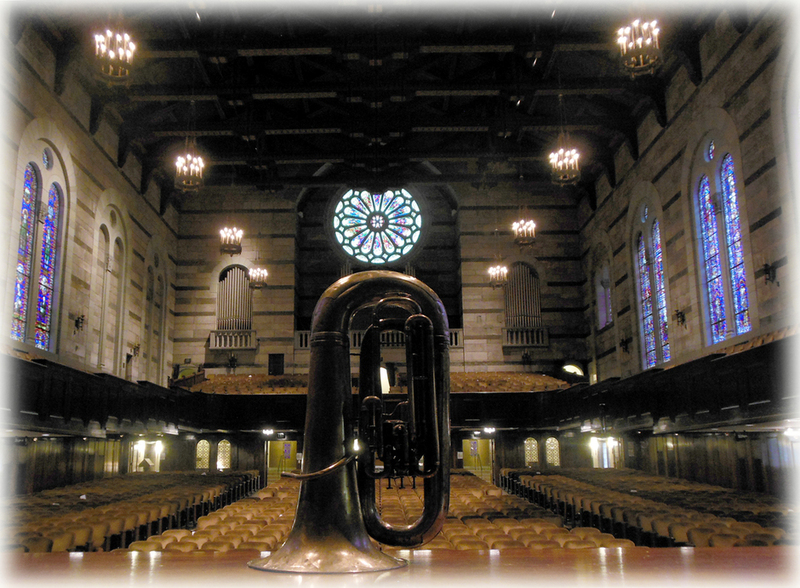 We'll play in the sanctuary of Fountain Street Church, one of the most visually interesting and acoustically marvelous venues in west Michigan. Participation fee is $10, concert is free. You can park at the GRCC ramp or on the street nearby. We use the books Carols for a Merry TUBACHRISTMAS published by the Harvey Phillips Foundation which are $20 each, good forever. Get yours at registration. Or if you'd rather not sight-read, contact me if you'd like one in advance. Bass or treble clef parts. Instrumentation consists of those big brass things found in the back row of the band: tubas, euphoniums, baritone horns, and sousaphones. (What's the difference? A baritone or euph has a higher, melodious tone and it's a smaller, more easily-transported horn. The tubas need us for melody on some numbers, decoration on others. 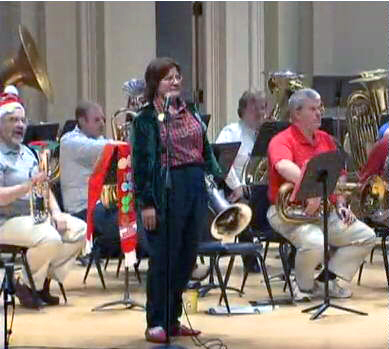 If it wraps around your body and the bell faces forward, it's a sousaphone.) Any musician with one of these instruments is welcome to play: home-schoolers, middle & high schoolers, college musicians, community bandies...we've had members of the Michigan 126 and Salvation Army bands, and more. 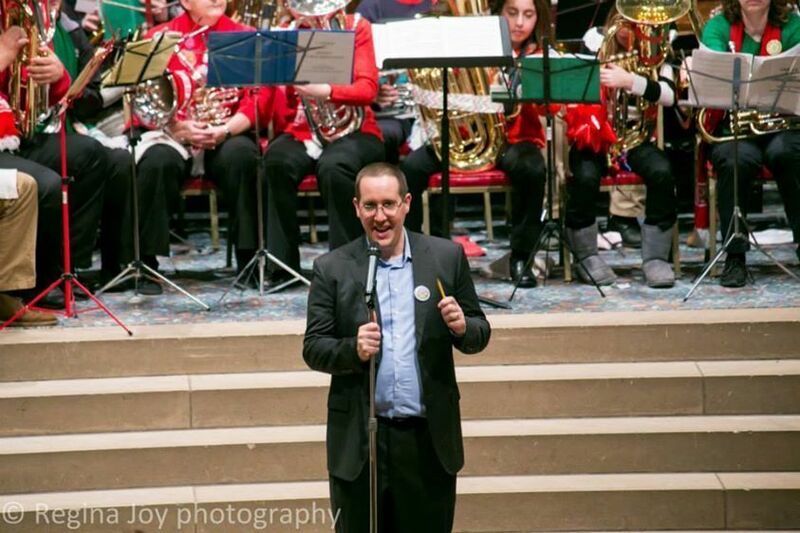 Any skill or experience level is welcome (we've had percussion and clarinet players borrow a baritone and join us). Many players decorate their horns and themselves; take a look at the photos and video links for ideas. Also check on YouTuba to see various groups from across the country. Please bring your own music stand and a floor rag. Photo from the Grand Rapids Press, thanks! Can't make it that day? 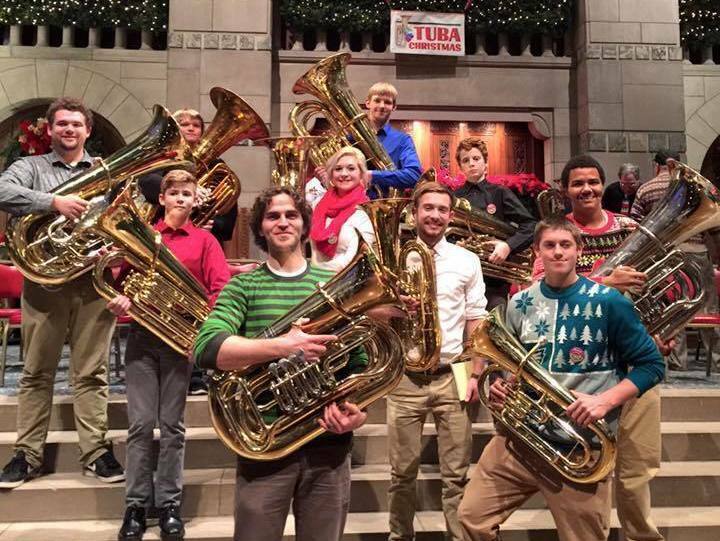 Click to visit the TUBACHRISTMAS website for a list of other events in Michigan and throughout the country. Want recordings? 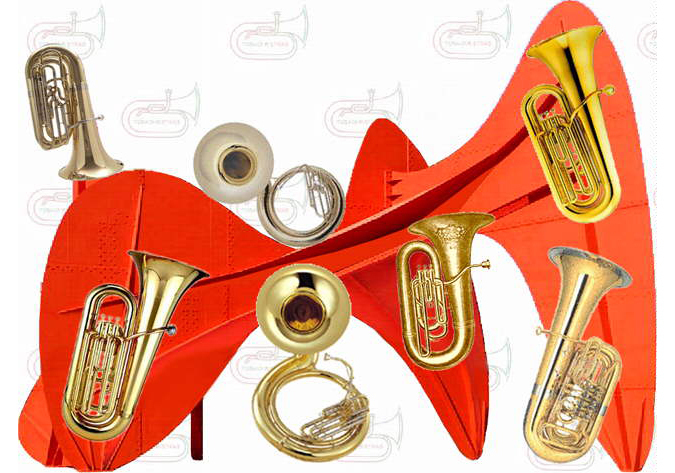 Visit the TUBACHRISTMAS website where those are sold.